UNSMIL has confirmed it brokered a meeting in Tunis yesterday between the two contending CBL Governors to discuss auditing by an independent international body (Photo: LH montage). 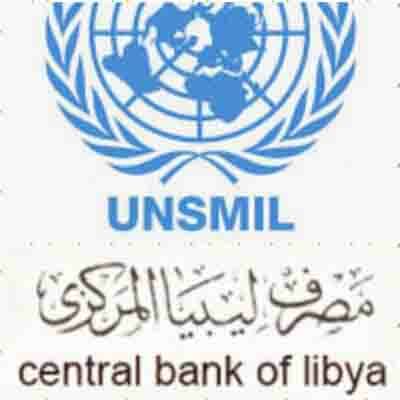 The United Nation’s Libya mission, UNSMIL, confirmed today that a ‘‘work’’ meeting was held in Tunis yesterday between Tripoli-Central Bank of Libya Governor Saddek El-Kaber and acting head of the Beida Central Bank of Libya, Ali Hibri. The meeting came at the invitation of UNSMIL head Ghassan Salame to discuss the audit of both banks’ activities since the 2011 revolution by an independent international audit team. UNSMIL gave little details beyond saying that the meeting was ‘‘positive in its results’’. It will be recalled that on 16 July, Mohamed El-Sallak, official spokesperson for Presidency Council and Government of National Accord head, Faiez Serraj, had revealed that the UN Security Council had responded ‘‘positively’’ to the 11 July request by Serraj for the urgent formation of an ‘‘international technical committee’’ to review and audit the expenses, revenues and transactions of both of Libya’s Central Banks in Tripoli and Beida. El-Sallak had added that the details of this audit – the implementation mechanism and how it will be applied in practice – were still under consultation and that these and what action will be taken, will be explained later once agreed upon. The Presidency Council statement on the issue said that the action is aimed at achieving ‘‘the principle of impartiality and transparency and to face a very serious situation’’. It had added that this move was in the public interest, clarifying the reality of the financial situation for all and the expenditure of the previous period of any institution without exception. The move will contribute to the consolidation of the country’s financial and economic institutions on a sound basis, enhance confidence in the functioning of these institutions, improve the economy of the country and support stability, the statement concluded. The Tripoli CBL had welcomed Serraj’s call for the formation of an audit committee.